The Vortex™ Tracker 2890 three-stage snow thrower moves more snow in less time. The 12 inch accelerator that makes the three stage process possible spins at 10 times the speed of the Xtreme™ augers, breaking down the heaviest, wettest snow before throwing it out the high-impact chute. 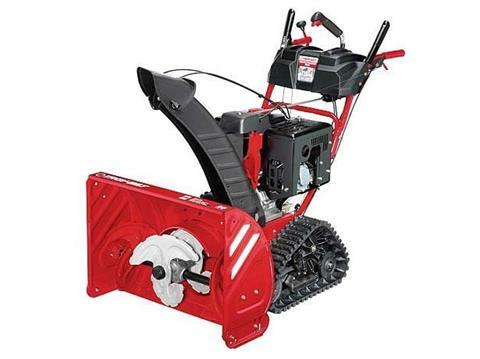 The Vortex Tracker 2890 three-stage snow thrower is equipped with a 357 cc Troy-Bilt® engine and D-track drive system. Track drive creates more ground contact for superior control, traction, and durability in all winter conditions.